Have you heard of a town called Chicken? It’s one of those small places with a funny name in the middle of nowhere. 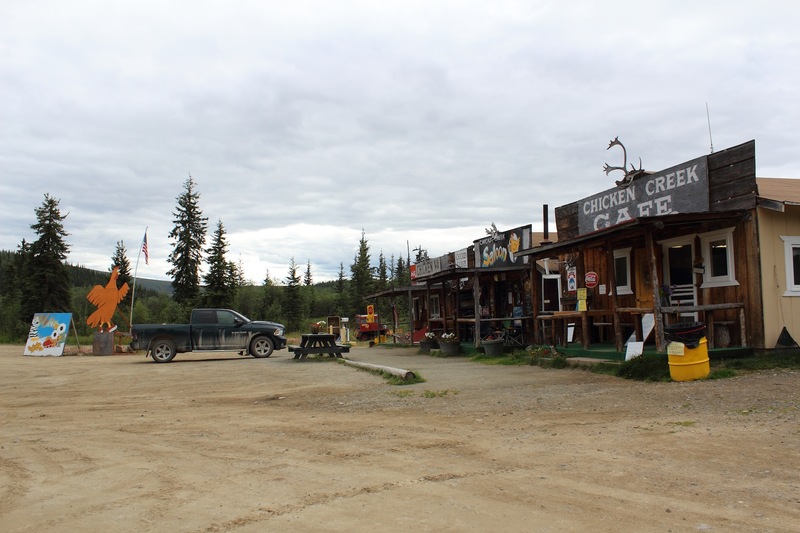 When I say the middle of nowhere, I mean in a remote part of Alaska, off the Taylor Highway, approximately 80 miles NE of Tok, Alaska and 100 miles west of Dawson City, Yukon, Canada. It’s a great little place to stop and explore, whether you stay for a night or just to stretch your legs. 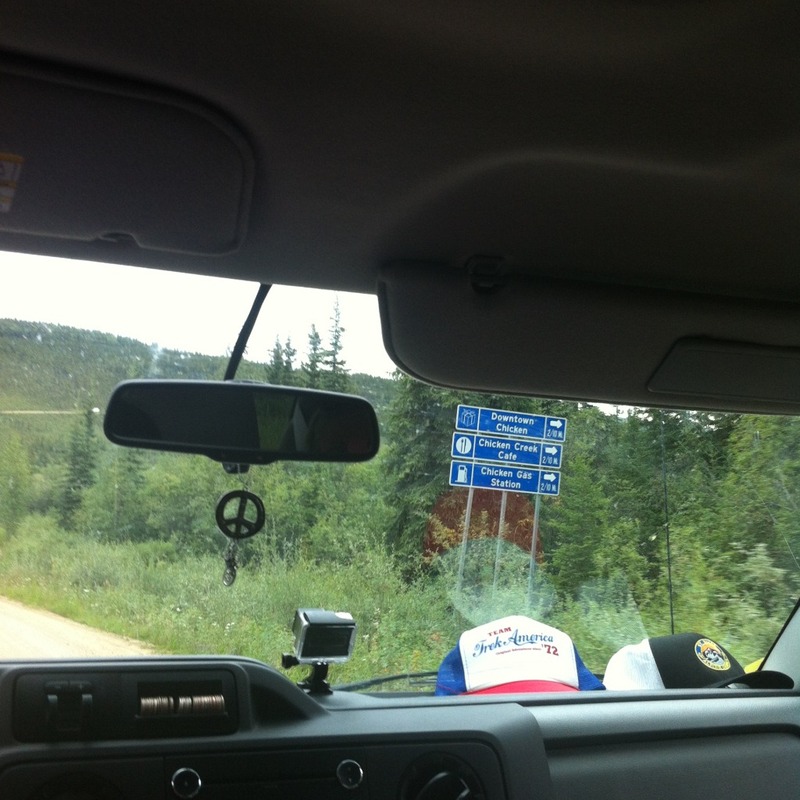 We stopped briefly to explore on our way from McClaren Lodge to Dawson City. Ten years before the Gold Rush, gold was discovered in the Franklin Creek. Gold miners set up camp close by, in what was to become Chicken. Who would call a town Chicken? A ptarmigan looks a lot like a chicken! So it was suggested that they should just call the town Chicken and that was it; the community agreed to name the town Chicken. True story. The road sign on the highway proudly boasts that Chicken has a Downtown area with a gas station and the Chicken Creek Cafe. Of course there’s more to Downtown Chicken than a cafe and a gas station. 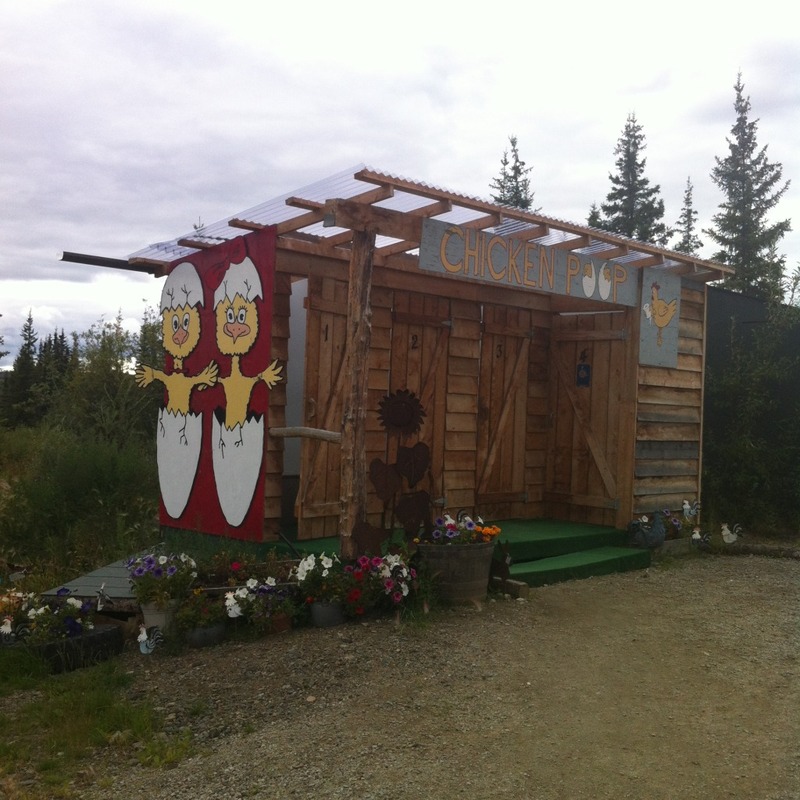 There’s the Chicken Creek Saloon (the only bar in town), a gift store and these kooky outdoor facilities too! 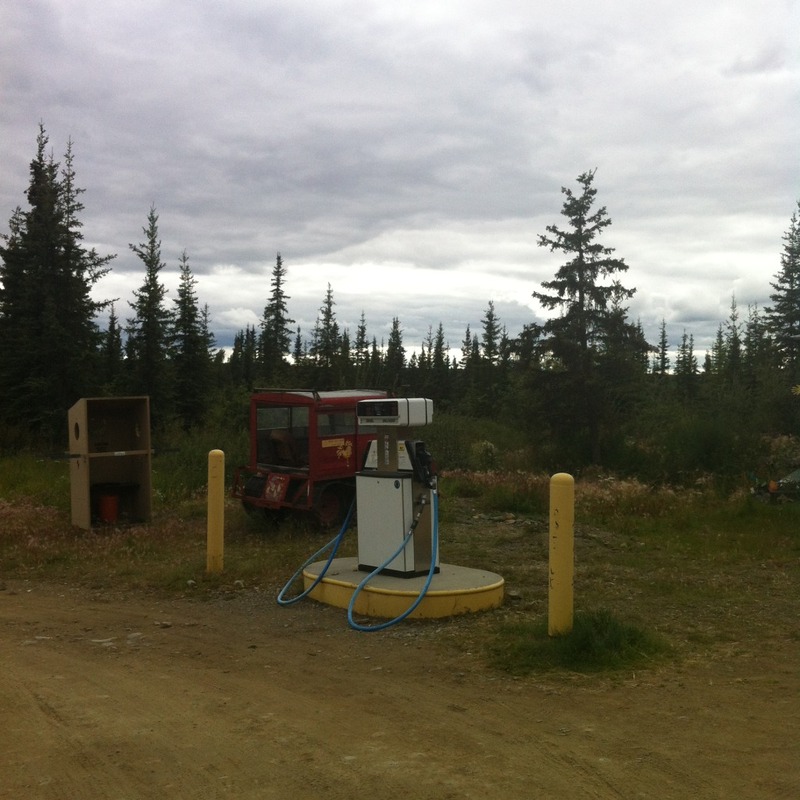 The gas station is important though because there are not many places where you can fill up along the highway. If you choose to stay overnight there’s also an RV park, a camp and outpost and there are a few activities to do including gold panning, kayaking and walking. You can also visit the original post office, the school and a gold mining dredge. Chicken is one of the few remaining gold rush towns in Alaska, making it quite a unique and historical little place to visit. Rumour has it, if you haven’t been to Chicken, you haven’t been to Alaska! Chicken was definitely on my list of places to visit this summer and I’m glad I stopped by. I love kooky little places; what they lack in population size and facilities, they sure make up for in character and hospitality!